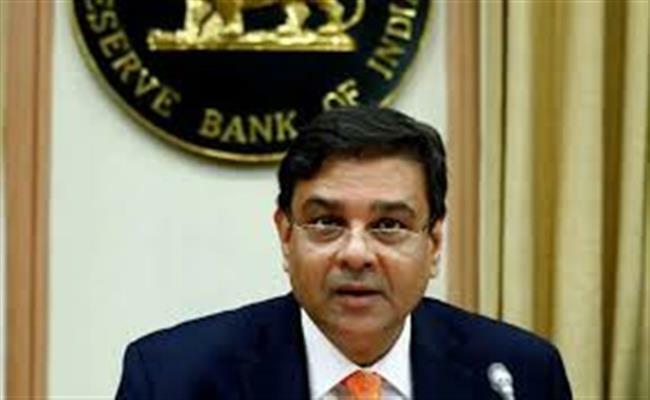 Reserve Bank of India Governor Urjit Patel, whose differences with the Narendra Modi government was no secret on Monday resigned from his post. In a statement put out by the Reserve Bank of India, Patel said his resignation comes in with immediate effect. "On account of personal reasons, I have decided to step down from my current position effective immediately. It has been my privilege and honour to serve in the Reserve Bank of India in various capacities over the years." "The support and hard work of RBI staff, officers and management has been the proximate driver of the Bank's considerable accomplishments in recent years. I take this opportunity to express gratitude to my colleagues and Directors of the RBI Central Board, and wish them all the best for the future," Patel added. Patel's three-year term as RBI Governor was to end on September 2019. Lauding the contribution of Patel, Prime Minister Narendra Modi said he leaves behind a great legacy. "We will miss him immensely." "Dr Urjit Patel is an economist of a very high calibre with a deep and insightful understanding of macro-economic issues. He steered the banking system from chaos to order and ensured discipline. Under his leadership, the RBI brought financial stability," PM Modi tweeted. Finance Minister Arun Jaitley also appreciated the service rendered by Patel saying it was a pleasure to deal with him and has benefitted from his scholarship. "The Government acknowledges with deep sense of appreciation the services rendered by Dr Urjit Patel to this country both in his capacity as the Governor and the Deputy Governor of the RBI. It was a pleasure for me to deal with him and benefit from his scholarship," Jaitley tweeted. "I wish Dr Patel all the very best and many more years of public service," he said. Buzz about Patel resigning has been making the headlines ever since his differences with the Narendra Modi government and the board of directors appointed by it came to light. A speech by Deputy Governor Viral Acharya on the need to ensure the independence of the central bank made with the support of Patel is said to have worsened ties between the finance ministry and the RBI Governor. Among the major cause for tension between the Governor and the finance ministry was a reported demand by the Central government to pay a higher dividend from the RBI's reserves. The central bank officials had opposed the move on the grounds that the reserves were required for maintaining the country's financial stability. The Central government was also said to be upset with the restrictions imposed by the RBI on several public sector banks from lending money.